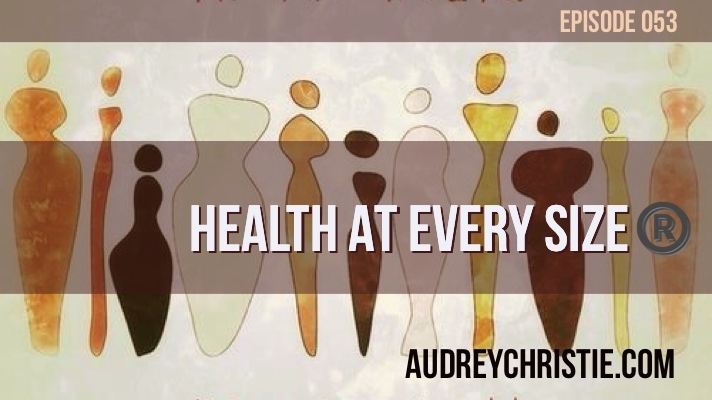 Health at Every Size® is a set of principles that help us advance social justice, create an inclusive and respectful community, and support people of all sizes in finding compassionate ways to take care of themselves. Respect - HAES celebrates the diversity in human bodies and honors size, age, race, ethnicity, gender, disability, sexual orientation, religion, class, differences, and other human attributes. Awareness - HAES challenges not only cultural but also scientific assumptions with a particular emphasis on body knowledge. Self-Care - HAES honors and encourages finding the simple joy in moving the body, honoring your hunger and fullness, tuning into and honoring your innate biological wisdom. The organization was developed because of the “war on obesity” which is waging but isn’t working. Frankly, I know, I was obese, I have lived in an obese body. HAES is the peace movement against the war on obesity. The bottom line is that waging a war against fat hasn’t made the fat go away, and again being thin or thinner in my case, or changing your shape doesn’t necessarily make a person happier. In fact, losing weight doesn’t necessarily make a person healthier either. I see many clients with ancillary physical conditions from losing weight. Additionally, there has been substantial and documented “collateral damage” resulting from the war on obesity. We are a society consumed with food and body preoccupation, self-hatred, eating disorders, discrimination, poor health, anxiety, depression, and many troubles. Regardless of size, very few humans are at peace with their bodies...are you? First, know this...size is not a good or reliable indicator of health. Take cardiovascular health, for example, you can be in a smaller body and in terrible cardiovascular health, you can drop dead on mile 5 of a planned 7 mile run from a heart attack. Just the same, you can be in a larger body and have a picture perfect cardiac assessment. So you see, as it seems we are all obsessed with the perfect body...it is but a tiny little minuscule piece of the entire wellness puzzle. Does battling your body hurt your health? In short YES. Waging war on your body, manipulating your diet and over-exercising in order to lose weight often times result in poor health. Just for starters, on the light side dieting can interrupt and slow down a normal healthy metabolism, it can lead to nutrient deficiencies (like the kind that causes hair loss among other disturbances), and most importantly hurt our psychological/emotional well-being. In addition to the psychological well-being factors, and the metabolism issues, and nutrient deficiencies, there is the whole - completely fighting against nature thing. Your body cues a primal drive when it is excessively deprived of a particular nutrient or food group. In this situation, you are not only grinding your metabolism to a screeching halt you are also beginning a negative self-talk cycle that is psychologically damaging. So how do you stop it... I used to say self-love, but then I realized after working with so many clients one-on-one, that love for themselves is such a reach, so now we start with acceptance and respect. Acceptance and self-respect, or respecting your body mean that instead of forcing strict rules that frequently lead to less than healthy behaviors, we shift the paradigm a little bit. When we practice self-respect and acceptance we can begin to shift the negative focus from rules and restricting to positive and caring. This is easier said than done, and one of the reasons I offer so much support and a full one-on-one program around just these 2 steps. But if you can start with accepting and reception that your human suit is just trying to keep you alive, you can begin to stop and even heal that negative cycle that is so harmful to our actual health and wellbeing. Part of acceptance and respect is letting go of trying to forcefully control our body and instead shift to tuning in and giving our bodies what it needs. This looks like eating food that is nutritious AND satisfying foods when we are hungry, respecting are satiety, and moving our body’s in a way that makes us feel alive. This also includes taking a break when we need it, this sets the groundwork for true holistic health and wellness. Often people ask me, “well if I’m not supposed to diet for weight loss, what do I do to feel better in my skin?” That’s where Eating with Intention and the Body Wisdom Method come into play. There are essentially 10-11 steps, the first two steps I mentioned at the top of this episode and really start with acceptance and respect, which move into self-love. I like to use that as “pre” work most often, to lay the groundwork for the full 10 steps. The first step is kicking diet-culture to the curb, this is where you get to throw away alllllll the BS diet culture mentality that you have subjected yourself and been subjected too. You get to have all the feels as you release this BS. Then you move into honoring your hunger and satiety cues, this is probably the trickiest one because there is lots of tuning in. 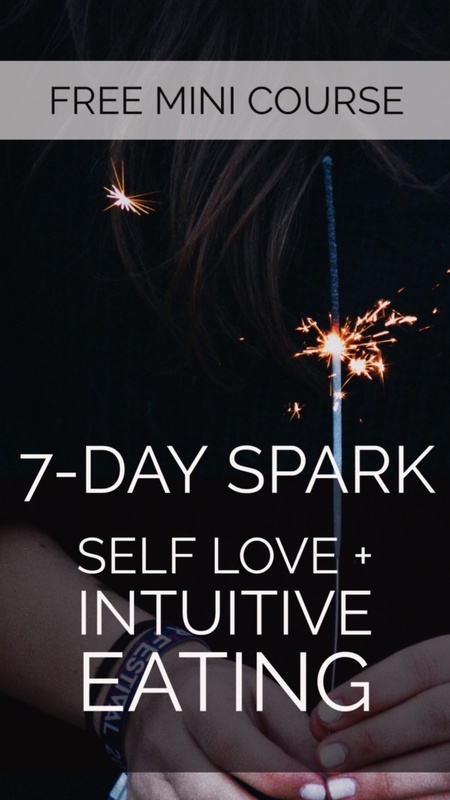 Because my group program peeps were needing deeper dives in this, I have actually moved this portion of the program into a smaller one-on-one plan called Eating with Intention, that way we can really work on all the feels and things that come up when we start to cue into what our body is telling us and really make peace with food. Once that part has settled, and it can take some work, it is fully supported work but there is some digging to be done... the next phase we go through is finding the satisfaction in eating again. We do big work on how eating can be pleasurable and part of living a “healthy” existence is pleasure and joy. And there are a few ways to make that happen, eating what you really want, in a warm and inviting environment, can help you derive pleasure from eating. Sounds amazing right, like what a novel idea not to feel guilt or shame while we eat...no matter what we are eating! The next phase is to move through honoring your feelings without using food. This is where you learn to find ways to comfort, nurture, resolve your feelings of anxiety, loneliness, anger, boredom without using food as a crutch. We figure out, sometimes through some trial and error, that food doesn’t ultimately solve the feeling and ultimately makes us feel worse in the long run. We also learn to accept our body as it is meant to be genetically. I like to use the reference point of a shoe if your foot is a size 10 you would try to squeeze into a size 7, you wouldn't expect to re-shape your foot into a size 7. What is sometimes harder to understand is that you can’t expect the same out of your body size and shape. We all come in different sizes and shapes and fighting against instead of respecting and accepting or even maximizing your genetic predisposition is much easier and allows you to feel better about who and what you are. Once we have made it through accepting and respecting both types, honoring your hunger and feelings, then we begin to incorporate movement. Notice I say movement and not exercise. You can use your preferred term but the message here is that you can forget militant exercise. Unless you are training for something specific, like a half marathon for example, there is no reason to be militant about your movement. In the Body Wisdom Method, we focus on how the body feels rather than the calorie burning effect of movement. We just move in a way that feels intuitive, often doing inner child work to find your perfect joyful movement, and then get active as you feel it's needed. Lastly, we dive into gentle nutrition. This is a combination of making food choices that honor your health AND your hunger, as well as your pallet or taste buds. We look at patterns over time and learn the principles of moment to moment or meal to meal doesn’t make or break you but rather a zoomed out look at your overall nutrition habits. Is there ever a time to restrict? With all that being said, I often hear… is there ever a time to restrict? And the short answer is YES there are times to restrict, not in volume but sometimes in food categories. For example, I am militant about not eating gluten. Not for weight loss purposes, but because I know it doesn’t make me feel well. For my kiddos, I am militant about dairy, gluten, and food dye, because we know (myself and they too) that they affect their body’s physically and mentally. I frequently have clients that come and see me for ailments that nutrition can help or supplements can help, like pain, anxiety, liver troubles, fibromyalgia, gut trouble, and often that means that we have to restrict something or another. Sometimes we go the try it and see route and sometimes we test to find out what exactly is necessary to eliminate. So those are times where elimination in the name of health and wellness but not weight loss is the way to go. 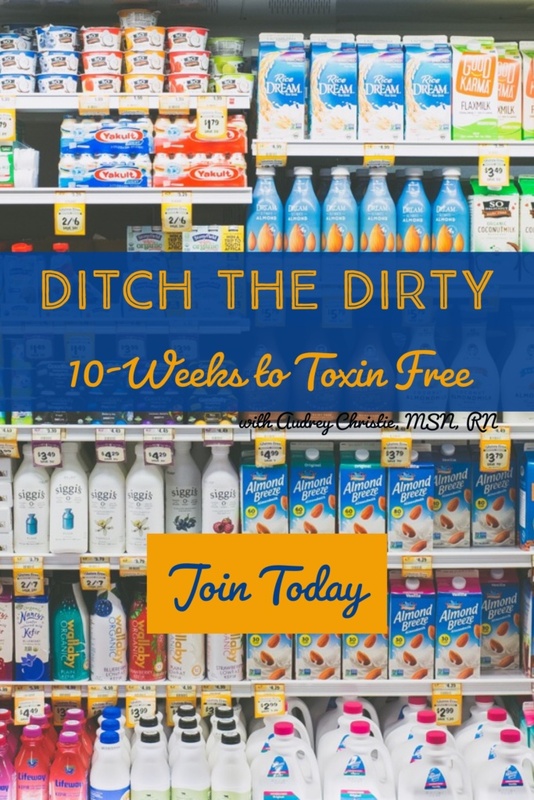 And then there are limited times to detox to get rid of all of the toxins we accumulate in our systems in our day to day life, they literally come from everywhere! I recommend doing something a little outside of the norm - a nourishing detox is what I call it. This allows for your body not to store toxins deeper but to take care of your body and remove toxins gently and safely. I recommend doing this about 1x per quarter. We will be ramping up our fall nourishing detox soon, so if you are interested jump on the waitlist at here for all the perks. So yes, there are times where restricting is nourishing and necessary. Waging war on your body is not one that you are likely to win long term, instead, employ strategies such as the Body Wisdom Method and Eating with Intention to change your life long term and allow your body to naturally find its set point. And remember this is as different one person to the next as shoe size.